Veda is the highest authority in Hindu knowledge system and the authority of all other scriptures are based on the authority of the Veda. Vedas are four – Rig, Yajur, Sama and Atharva. Rigveda contains prayers to Gods (Riks are the mantras). Yajurveda has methods to use Riks for sacrifices (Yajus-Yajna). Sama Veda introduces musical notes. Atharva Veda gives ways to make life successful, and contains methods to fulfill what can be called material aspirations. Each Veda has three sections – Samhita, Brahmana and Aranyaka. Samhita has prayers or Suktas. Brahmana has sacrificial methods. Aranyaka has Mantras and methods that are practiced in the forests (that is, not for grhasthas). Upanishads normally appear in the last part of Aranyaka and deal with spiritual philosophy. Some Upanishads are exceptions and appear in Samhita and Brahmana too. 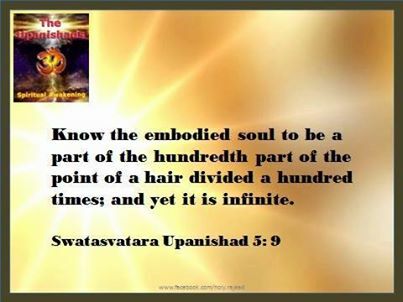 Thus Upanishad, as it appears in the last part of the Veda, is called Vedanta. 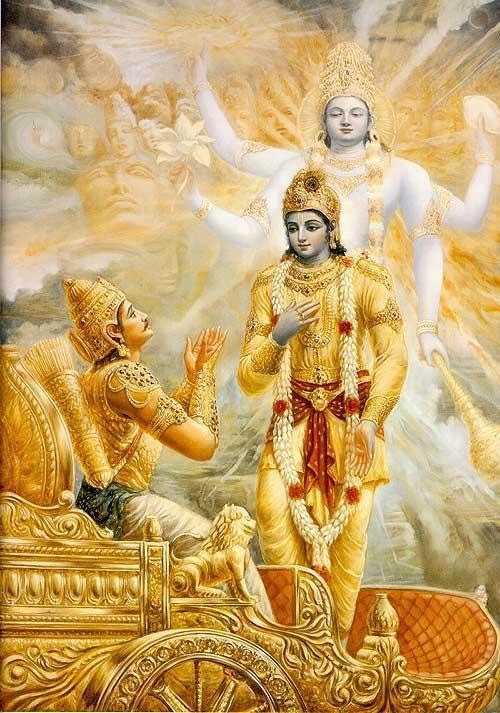 There are 108 Upanishads and 10 of them are famous. Since Upanishads mostly philosophical they are found in prose. But there are Upanishads like Taittireeya and Ganapathi Atharva seersha that have svara. The Rigveda itself indicates that Truth is one – “ekam sad vipra bahudha vadanti agnim yamam matariswanam ahuh” (meaning Truth is one, but the learned refer to it in different names like agni, yama, matariswan). But the concept that there is a single Parabrahman and that all Gods are Its forms, is more clearly visible towards the Vedanta (Upanishads). Its implications can be seen in later sections, especially when we discuss Darshanas and Puranas. Veda is anadi, having no beginning or end. It said to exist eternally; it is called the breath of Paramatma. This is a poetic expression, this does not literally mean paramatma has a breath but just the way breath exists with a person’s life similarly veda exists with God/creation. While the modern view is that Rigveda is the oldest, it is only in compilation that it is possibly older. Rigveda itself mentions Yajurveda and Samaveda. For instance Purusha sukta (RV 10.90) says “Tasmaat yagnaat sarva hutaH, RucaH-samaani jagnire, chandaagmsi jagnire tasmaat, yajus tasmaadajaayata”. Veda is apourusheya, not authored by humans(divine creation). The seers are said to reveal veda mantras to the world, they are called drashtas. Rigveda says “catvari vak parimita padani tani vidur brahmana ye minishinah, guha trini nihita neengayanti turiyam vaco manushya vadanti”, meaning vak exists in four forms and the learned know of them. Three are hidden and the fourth is what men speak. Vak (literally word, but meaning veda mantra here) is said to exist in four forms – para, pasyanti, madhyama and vaikhari. Para is the eternal form of vak. Pasyanti is when a seer envisions the mantra. Madhyama is when it descends into mind plane. Vaikhari is the expression. Thus the Veda mantras exist eternally, they are only revealed to the world by the seers. Though there are four Vedas, there are alternate recitations in each Veda. These are called “pathantaram”s. Based on these, various branches exist in each Veda, each of them is called a Veda sakha. 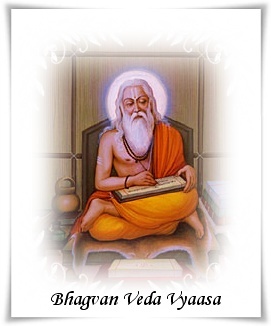 There are various methods of chanting the Veda, like ghana and jata. According to Hindu tradition, the Vedas are apauruṣeya “of divine origin” are supposed to have been directly revealed, and thus are called śruti (“what is heard”). The four Saṃhitās are metrical . The term saṃhitā literally means “composition, compilation”. The individual verses contained in these compilations are known as mantras. Some selected Vedic mantras are still recited at prayers, religious functions and other auspicious occasions in contemporary Hinduism. The Vedas are called the books of gods .Each word of veda is Powerful.Thus the knoweldge of Vedas is a secret . The Rigveda, containing hymns to be recited by the hotṛ;It contains 1028 hymns dedicated to thirty-three different gods; these gods were, quite expectedly, nature gods. The most often addressed gods are Indra (rain god; king of heavens), Agni (fire god) and Rudra.This oldest religious text in the world has10,589 verses which are divided into ten mandalas or book-sections. The fourth is the Atharvaveda, a collection of spells and incantations, apotropaic charms and speculative hymns It has 760 hymns, ts first part consists chiefly of spells and incantations, concerned with protection against demons and disaster, spells for the healing of diseases, for long life and for various desires or aims in life. Atharvaveda contains prayers to Gods not mentioned in the other three Vedas, like Pratyangira. Atharvaveda also uses many Riks. For instance, the Manyu sukta of Rigveda appears as two chapters “sena nireekshana” and “sena samyojana” in the Atharvaveda. The Hindu Texts, the Vedas, Rig Veda ,Atharva Veda speak about the nature of electricity. The Veds are a limitless store of true knowledge and skills. A very comprehensive, wide and huge store of the Vedic literature existed in India, but it was destroyed by foreign aggressors and thus was lost, even then, a lot of it was protected by great Rishis. It is said in the Veds: O human! Know about all those things and substances in numerous forms present in all the Loks and in the skies and water and the earth with the help of knowledge. (Rig. 5-52-7). 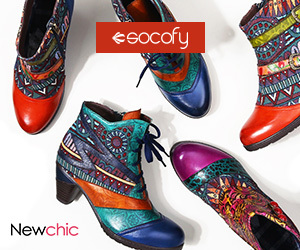 Westerners are given the credit for discoveries and inventions in modern times. The intellectual development of our life was completely blocked because for a very long time, we were an occupied nation by some foreign power or the other. And a subjugated people can’t have the liberty of even dreaming. Very slowly but surely, we were made to forget our glorious past and history, including the Vedic knowledge. Now that the shackles are broken, we can once again study and teach and learn our ancient Veds. Electricity is needed in life as much as all the other things, which is why The Veds contain knowledge about it, so that man can lead his life without problems. Fire is its original form. The Sun is its ultimate form. Water produces it. (Taitiriya A. 7-3-2, Taitiriya U. 1-3-2). The electricity resides in the sun. (Taitiriya A.1-9-2) Thus, a number of sources for generation of electricity are explained. Fire, sun as well as water are considered as sources of electricity.Though the use of the sun is relatively new and to a much lesser extent, in the future, it will be possible to generate sufficient electricity from the solar power. Electricity is an atomic process. And so, as newer and newer substances are discovered which produce electricity, more and more electricity will be generated with atomic fission with the help of more and more modern machinery. The aeronautical science by Bharadwaj Rishi included a number of machines and systems which ran on electricity. Even the television is described clearly in it. 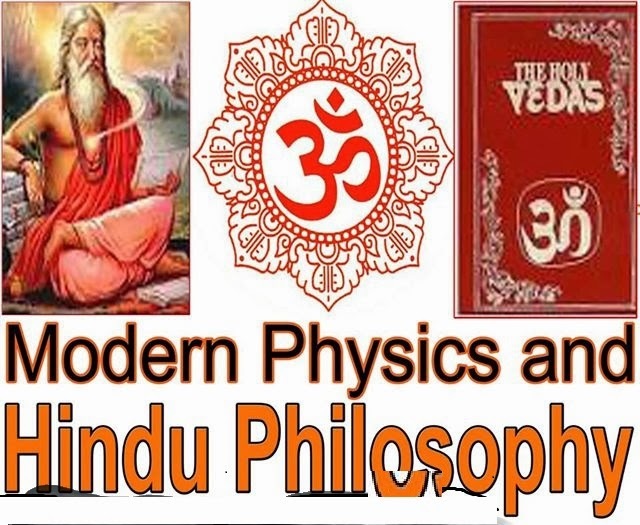 Combining spirituality and philosophy with science, let us make our coming generations capable of spreading this divine knowledge from the Veds all over the world.We consider it our prime duty to explain about electricity on the basis of the Veds. (Rig. 1.32.13). To begin with, there is the description electricity which forms in the clouds in the form of lightning. Though it has tremendous power, it does not interfere with the solar power. However, Lord Indra can vanquish Vritra with the help of lightning. (Rig. 1.23.12). We get electricity which emits blinding light, which we use for all kinds of tasks. Together with electricity, winds also bring us happiness. (Rig. 1.6.5). This Mantra describes generation of electricity with the help of machines run on wind power. Electricity can be easily produced where winds are strong. (Rig. 1.64.9) This Mantra instructs about use of electricity in aeroplanes. It also describes land vehicles driven with electrical power. (Rig. 8.64.29). Many kinds of jobs are performed with the help of electricity, using attraction, retraction, vaporization, freezing, air circulation, as well as generation of new substances. The universal cycle runs because the Almighty has kept the atoms and molecules moving. Electricity presents itself on the earth so that man can perform all kinds of useful tasks with its help. (Rig. 1.168.8). When rains pour down on the earth from clouds, water in rivers gets agitated. Generation of electricity with the help of this agitated water brings smiles all around, meaning that the earth gets lighted up with lights run on electricity. God, you are great! What extraordinary knowledge you have provided in the Veds!. (Rig. 3.1.14). Intelligent people combine life and soul. Similarly, electricity and fire are combined on the earth, and this knowledge is worth attaining for getting our wishes fulfilled. (Rig. 5.52.6). Wise and learned persons should attain enlightenment of knowledge about electricity etc, just as the armed forces bring lights into the life of people by protecting the nation. (Rig. 5.54.11). This Mantra describes the equipment soldiers should carry. They must have sufficient arms, food, high quality airplanes, glinting armors to guard their bodies, helmets to protect their heads, powerful electrical rays that can destroy the enemy planes. This clearly means that there is a description of power electrical beams of waves or rays to be used by armed forces in the Veds. ï¿½(Rig. 5.86.3). This Mantra advices kings and emperors that just as the sun uses its powerful rays to destroy clouds and causes rains on the earth which brings happiness to the people, the kings and emperors too should use the power of electricity to destroy enemies and bring happiness to their subjects. (Rig. 5.87.10). This Mantra describes that we can clearly listen to our speech elsewhere, with the help of vibration of electrical waves. All these Mantras describe the electrical science in the Mantras. Today, foreigners are making money very small gadgets with the help of electrical shells (cells). We are as yet behind in this race of science, but we can safely assume that we can attain our rightful place at the top in the field of science and knowledge, on the basis of our glorious past. (Yaju. 32.2) This is a Mantra from the Yajurved. Physically, electricity generated is intended for the betterment and benefit of mankind, but it depends on man’s tendencies whether to use it constructively or destructively. The Almighty is seen in the form of electricity. It (He) creates the cycle of time. It cannot be captured in physical form anywhere. Thus, all good work can be performed only because of the might of the Almighty (electricity).